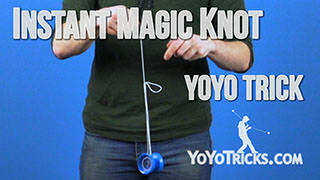 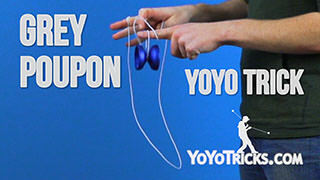 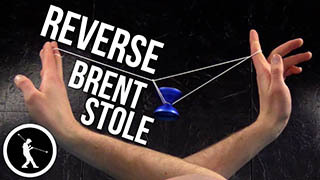 Learn how to do the 1A yoyo trick Funny Bone, an easy body trick based around a 1.5 mount over the opposite arm which also incorporates a Jade Whip to finish. 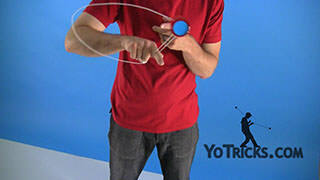 Funny Bone starts in a 1.5 mount around your opposite hand arm. 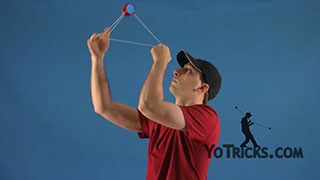 To get there, first you are going to want to take your opposite hand arm, put it at a 90 degree angle, and then put it in front of yourself, just like this. 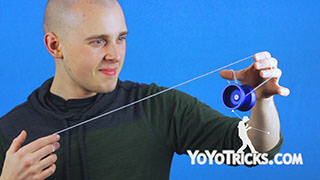 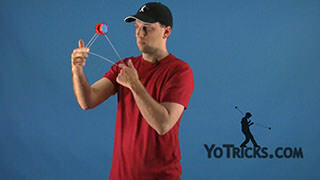 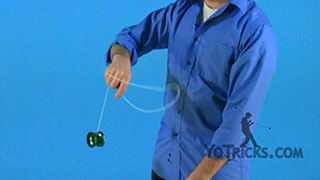 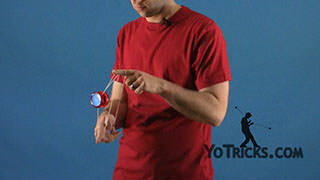 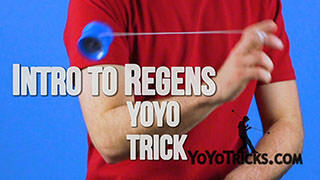 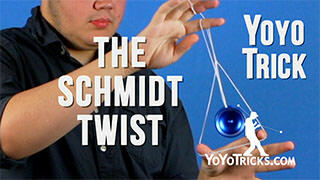 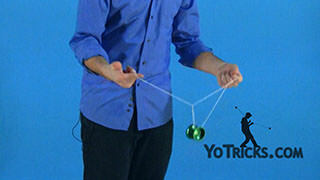 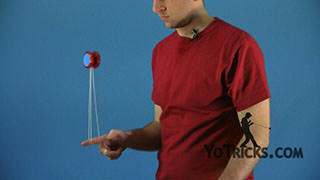 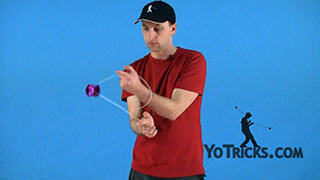 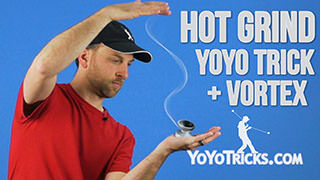 Then, throw the yoyo over your opposite hand upper arm, anywhere along your arm is fine. 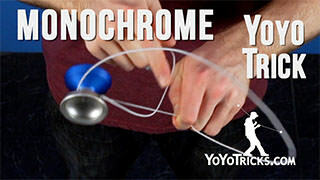 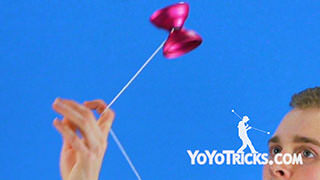 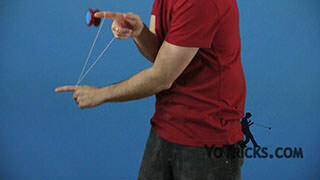 Then just bring the yoyo into a 1.5 mount over your throwhand pointer finger. 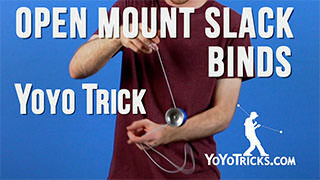 Then we are going to do a double on 1.5 mount. 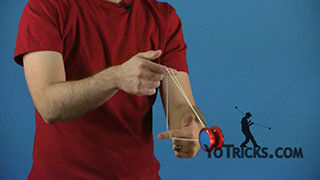 From here we are going to unroll the yoyo twice and as the yoyo is swinging toward our throwhand side, we want to take our opposite hand, put it on top of the string between our throwhand pointer finger and opposite arm, pull it down to bring the yoyo back and to hop it off of this string segment, just like this. 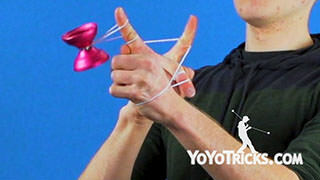 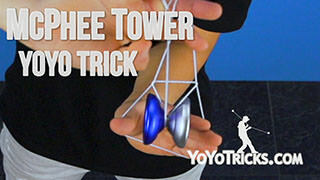 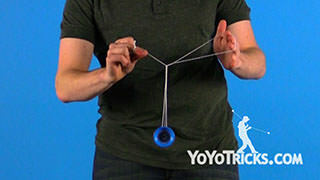 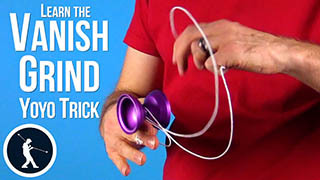 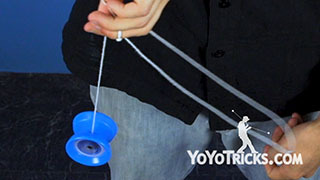 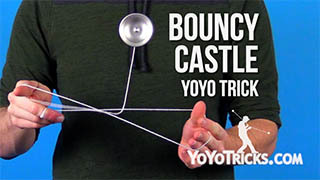 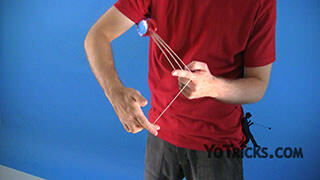 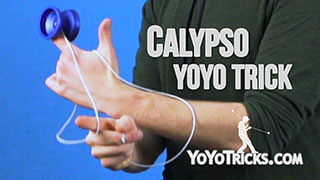 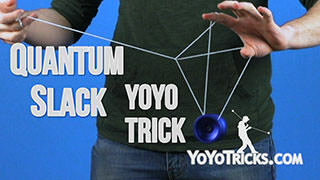 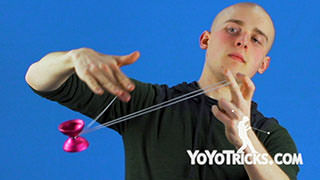 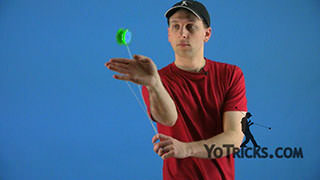 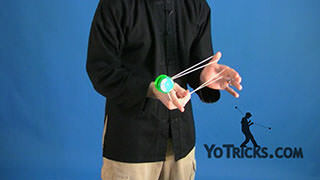 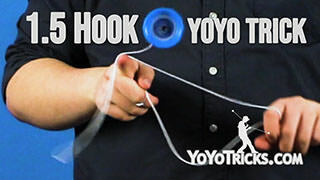 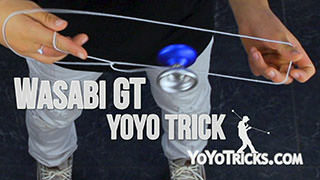 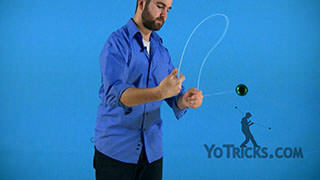 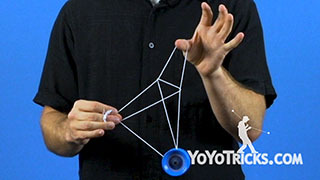 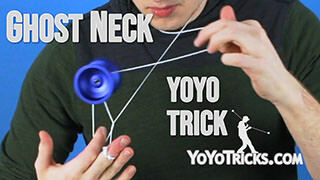 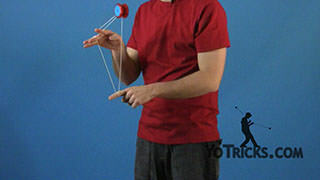 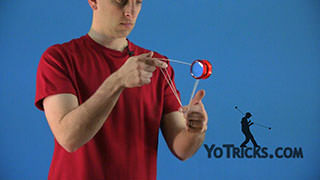 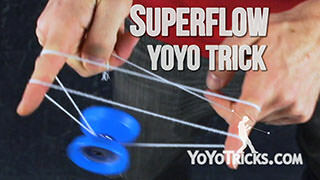 After you hop the yoyo once, you can take your throwhand pointer finger, curl it up and in, and then swing the yoyo over top, landing on the string segment between your two fingers, just like this. 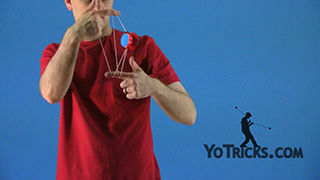 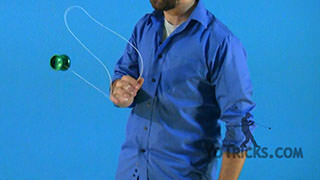 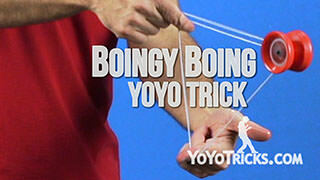 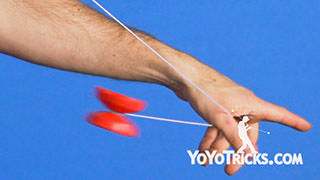 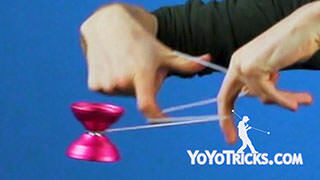 After that, we want to swing the yoyo underneath of our opposite hand pointer finger. 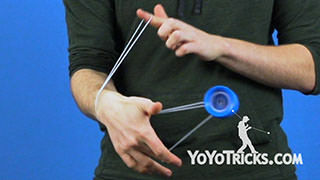 Landing onto the double string. 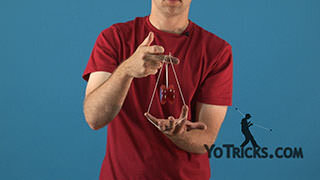 Then we are going to repeat that same motion, swinging under our opposite hand pointer finger, but this time we are going to drop our throwhand pointer finger, leading us into this undermount on our opposite hand. 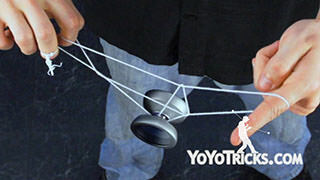 Then we are going to dismount, stick out our middle finger, and then swing the yoyo over top, landing onto a trapeze, just like this. 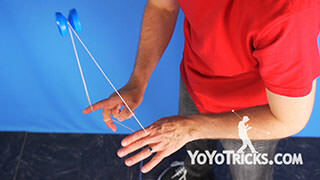 Then we are going to hop off the trapeze. 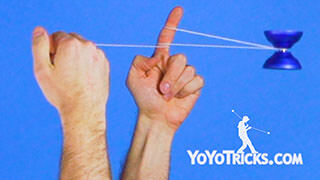 Then go back into a 1.5 mount over our throwhand pointer finger. 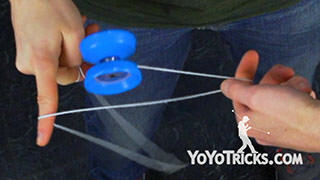 From here, we are going to roll out once more. 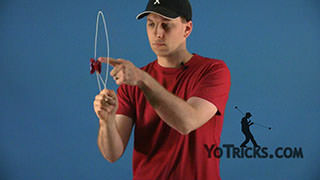 Take our throwhand pointer finger, curl it over just like how we did, and then we are going to swing the yoyo over top of our opposite hand arm. 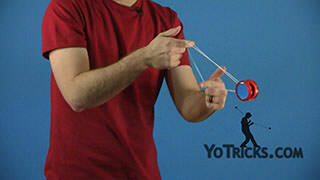 Let it continue swinging over toward our throwhand side underneath our throwhand. 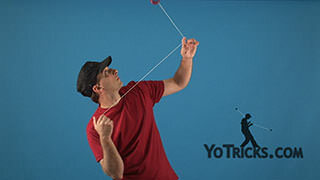 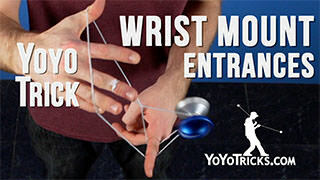 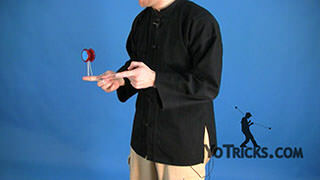 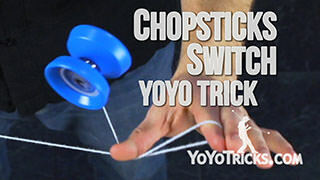 As soon as the yoyo hits my throwhand, I can just let go of this loop on my throwhand pointer finger, and a slack is going to come over my arm, around my hand, and into the yoyo, exactly like with a Jade Whip. 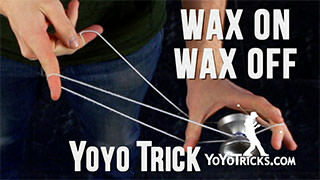 Now, that element can be a little tricky, so I have got some tips for you. 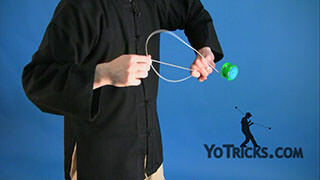 The first is that if you want to practice it by itself, you do not need to go through the whole trick. 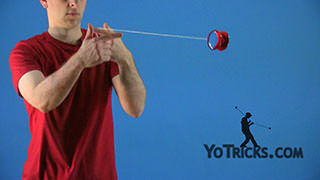 Rather, you can just quick go into a 1.5 mount on your opposite hand arm. 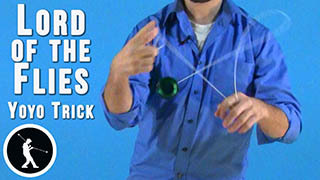 Then, go right into the Jade Whip. 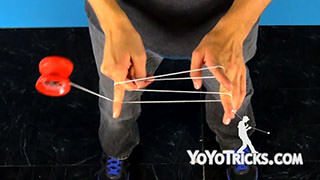 To break it down a little bit further, you want the string proportions to be roughly the same. 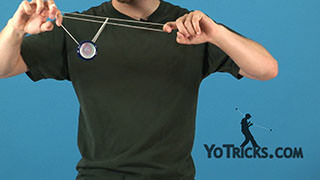 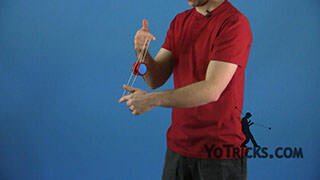 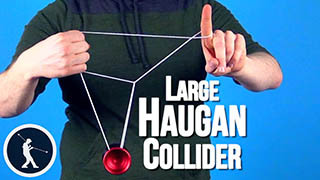 When the yoyo is hanging down you want your throwhand and opposite hand arm to be about the same distance apart as the yoyo and your opposite hand arm. 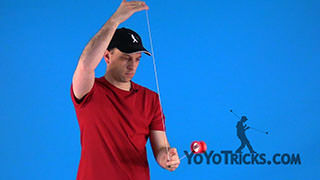 That is going to help ensure that the slack loop is the right length to make it all the way around the yoyo. 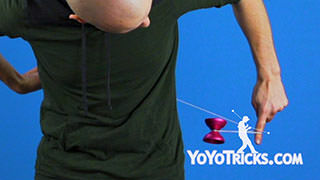 From here you can really dismount however you want. 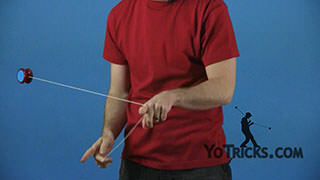 Personally, I like doing a Ripcord by pushing into these two strings. 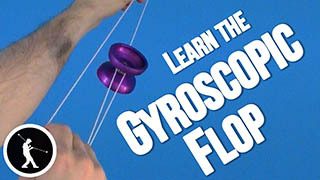 Once more, then you are in a undermount. 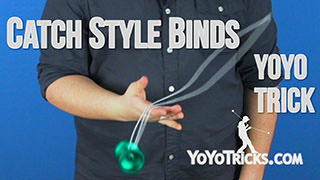 Then you can perform a bind. 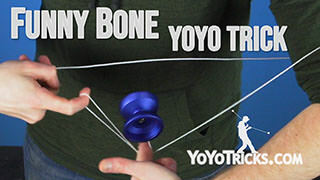 And that is Funny Bone.